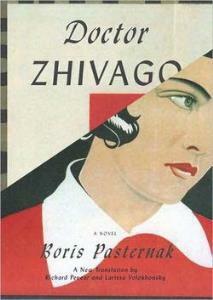 In an article in the June 30, 2014, edition of the Washington Post, columnist and editorial page editor Fred Hiatt discusses the harsh denunciation of Boris Pasternak in a 1958 speech. 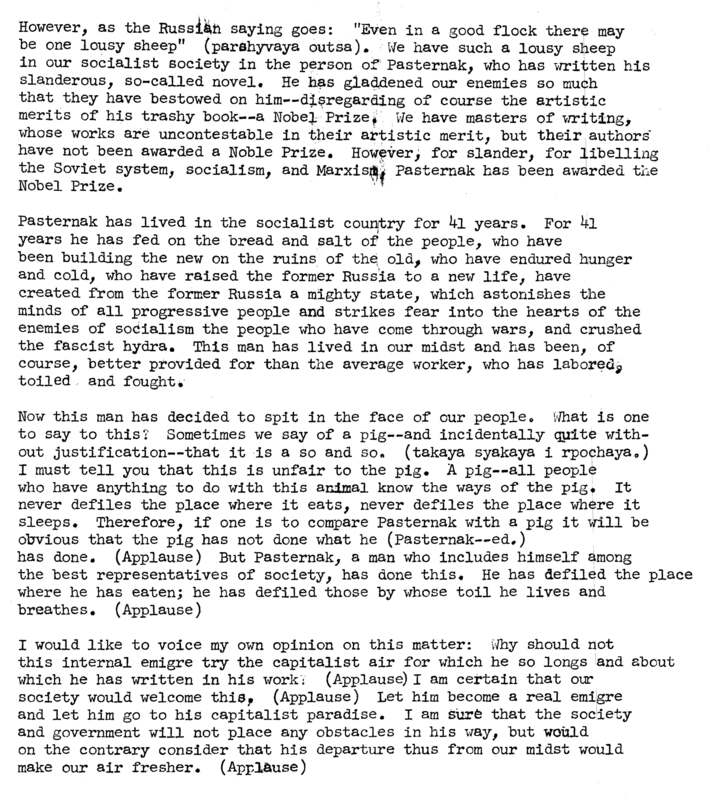 The criticism of Pasternak as a pig occurred toward the end of a long and turgid oration on the subject of the Komsomol’s glorious history and mission by its director, Vladimir Semichastny, who later came to head the KGB. However, as the Russian saying goes: “Even in a good flock there may be one lousy sheep” (parshyvaya outsa). We have such a lousy sheep in our socialist society in the person of Pasternak, who has written his slanderous, so-called novel. He has gladdened our enemies so much that they have bestowed on him—disregarding of course the artistic merits of his trashy book—a Nobel Prize. We have masters of writing, whose works are uncontestable in their artistic merit, but their authors have not been awarded a Noble (sic) Prize. However, for slander, for libelling the Soviet system, socialism, and Marxism, Pasternak has been awarded the Nobel Prize. For more information about Foreign Broadcast Information Service (FBIS) Daily Reports, 1941-1996, or to request a trial for your institution, please contact readexmarketing@readex.com.